Breaking the laws of physics. Open experiment "PYRAMID". 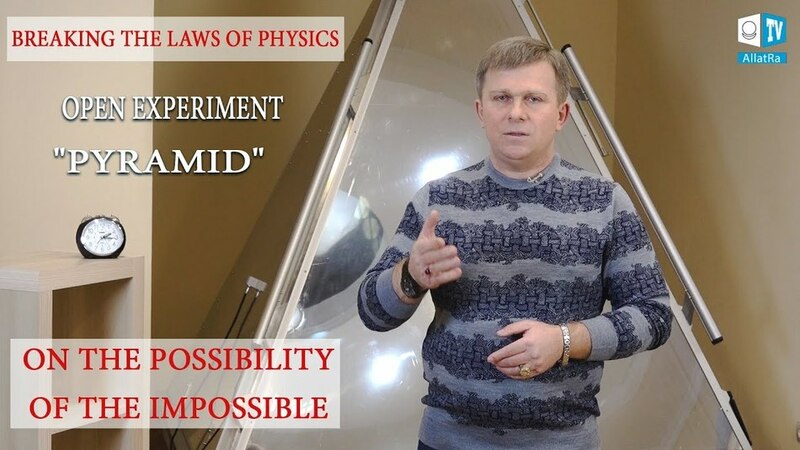 On the possibility of the impossible A series of unique practical experiments with the use of the "PYRAMID" apparatus, which has no analogues in the world, continues. This time, everyone who wishes, regardless of distance and time, can personally participate in an unusual experiment -- to impartially perceive at a distance the work of both the Operator, located in the "PYRAMID" apparatus, and the work of the apparatus itself. The uniqueness of this experiment is that this intangible instantaneous interconnection takes place outside of time and space. In modern quantum physics, it is called "nonlocality". However, its nature has yet to be explored. The scientists are now only at the point of theoretical understanding that all the quantum particles in the universe, which are or have ever been in the same state, remain internally connected with each other.